You don’t want to miss any opportunity to be in touch with your customer but in the process you have to be very alert of the fact that you are losing your precious time doing the repetitive work on daily basis. Instead you can have a smart assistant to take care of your daily activities such as wishing them on their Birthdays / Anniversaries, reminding them about their Premium / Claim / Loan due dates so that you can focus on getting new business. Send your customers Insurance Policy Alerts, Greetings within seconds. 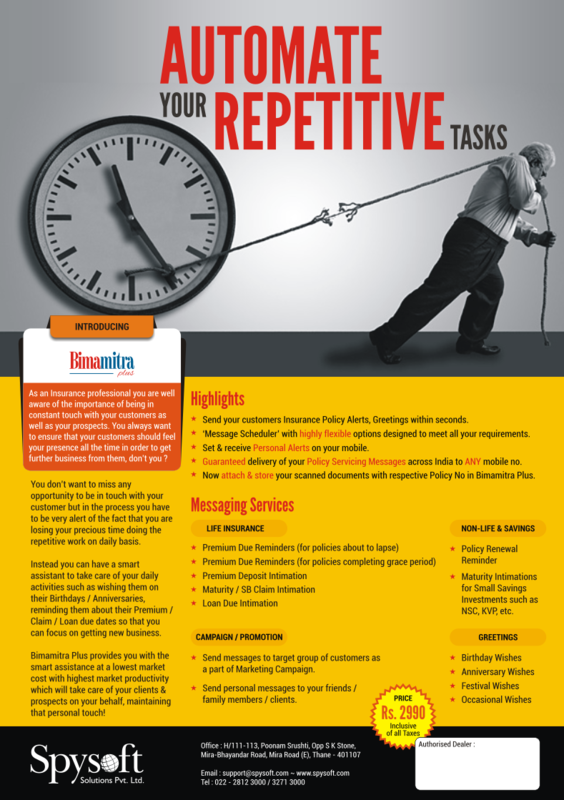 ‘Message Scheduler’ with highly flexible options designed to meet all your requirements. Set & receive Personal Alerts on your mobile. Guaranteed delivery of your Policy Servicing Messages across India to ANY mobile no. 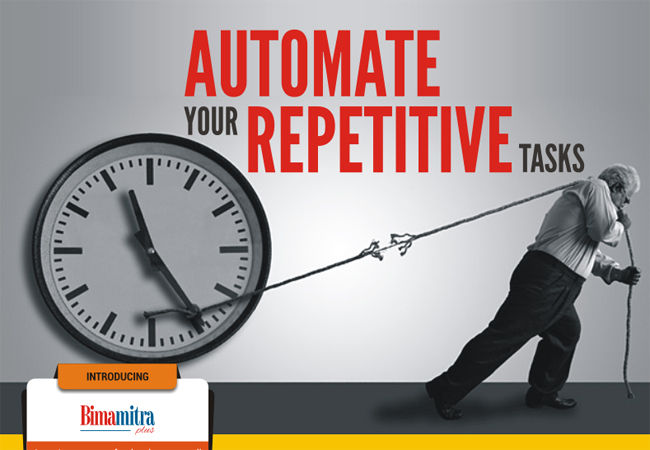 Now attach & store your scanned documents with respective Policy No in Bimamitra Plus. Maturity Intimations for Small Savings Investments such as NSC, KVP, etc. Send messages to target group of customers as a part of Marketing Campaign. Send personal messages to your friends / family members / clients. Now state-of-art insurance management solution is at you fingertips. To experience the ease and convenience of using this incredible software all you have to do is contact us. Our representative will come over to provide demonstrations at a time and place convenient to you.